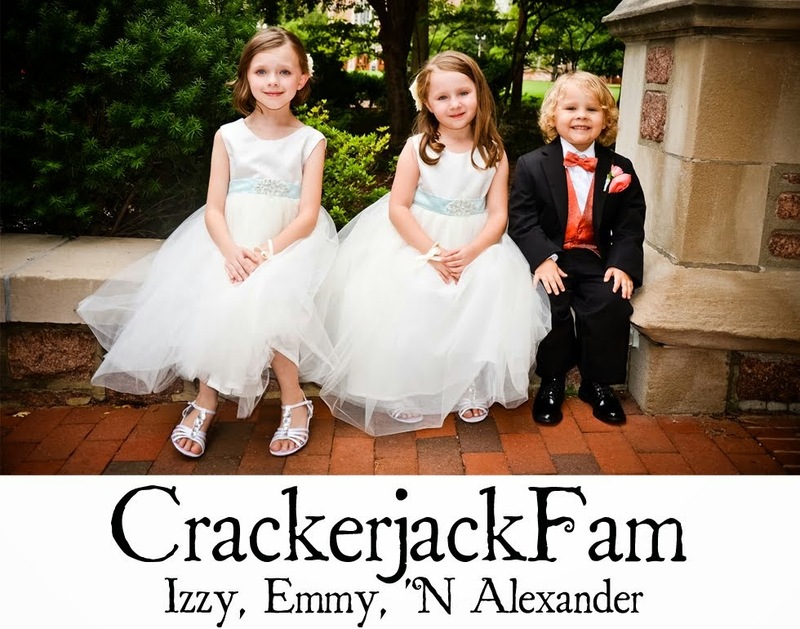 Izzy, Emmy 'N Alexander: Get Your Frozen On! Partnering up with MyBlogSpark has brought so many wonderful and yummy opportunities my way this Summer. Recently, Yoplait gave me another great chance to review more of their fantastic product. The girls have really started diving into yogurt, primarily because of all of the cool commercials these days. Every time we are in the store, they want yogurt of some kind. And since I gave birth to Alexander 3 weeks ago, yogurt has been my staple of surviving my lack of hunger. You have all heard my stories before, here with the Greek, the Yoplait Kids, and the YoPlus. If you haven't guessed, we are fans of Yoplait and all they have to offer. This time, we were given the chance to try Yoplait Whips. I always go for the Original, Daddy goes for the Whips and the girls gravitate toward the Light for their funky flavors. Yoplait Whips! yogurt is currently available in nine delectable flavors - Chocolate Mousse, Chocolate Raspberry, Key Lime Pie, Lemon Burst, Orange Créme, Peaches `N Cream, Raspberry Mousse, Strawberry Mist, and Vanilla Créme. This time we got to have a little bit more fun though, and here's how. After spending more than enough time picking out flavors, we rushed home and made these!!! 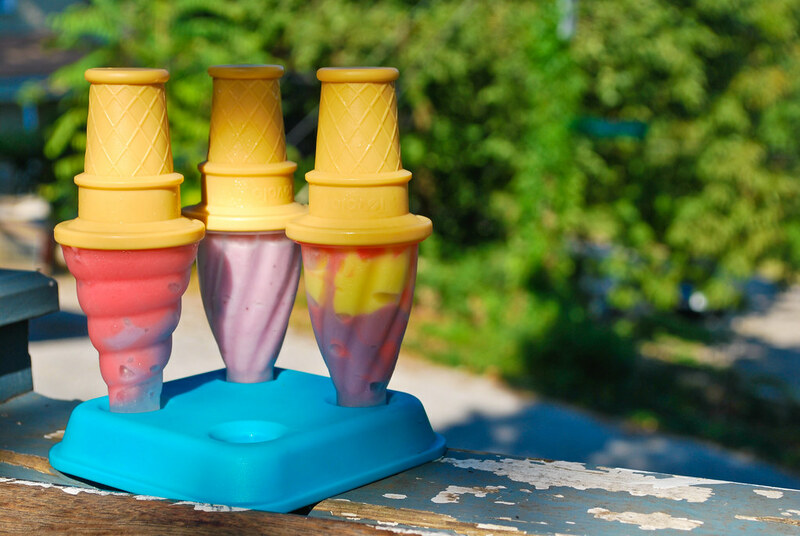 *Note, the popsicle mold does contain 4 cone molds. One was being eaten at the time of this photo! LOL!! I know!! Are they not the coolest popsicles you've ever seen? Yoplait and MyBlogSpark sent this mold in my prize pack to use with Yoplait yogurts. Frozen Yogurt Fun!!! Updated: To use the molds, you simply pour your favorite flavor of yogurt in the clear "ice cream" part of the mold, snap the cone handle on and pop in the freezer. When the yogurt is frozen (about 4 hours), you remove the entire mold from the blue tray, and gently remove the clear top, using the cone part as the handle. Then enjoy! Drop by and say HI!! Leave me a comment saying hello. I've been so busy and quiet in the blogging world. Let me know your still here. LOL! To gain a second entry, leave an additional comment telling me what flavor of Yoplait Whips! you'd like to try. This giveaway will run thru Friday September 3rd. I will use Random.org to choose a winner Saturday morning. Wow! Just wanted to say hello. I'm here! Can't wait to see you all on Wednesday. We're making avacado smoothies for snack! Why am I confused, lol Can you eat the cone or is it just the holder? @Midwest Mommy, I guess I could have explained that better. I'll update the post. Hello! :) Always following, love it all! and what a super great healthy alternative to something all kids love anyhow! I want to try the chocolate mousse, key lime pie, lemon burst, and vanilla creme. Thank you. I like the key lime pie flavor but the vanilla creme sounds pretty good too! This looks great! SAo coming by to say Hey! Have a great day. I'd love to try the Key Lime Pie, Yummy!